Starting or maintaining any kind of business is definitely not a child’s play. It is very important that you maintain a way to keep track records of cash inflow and outflow. How to do that? 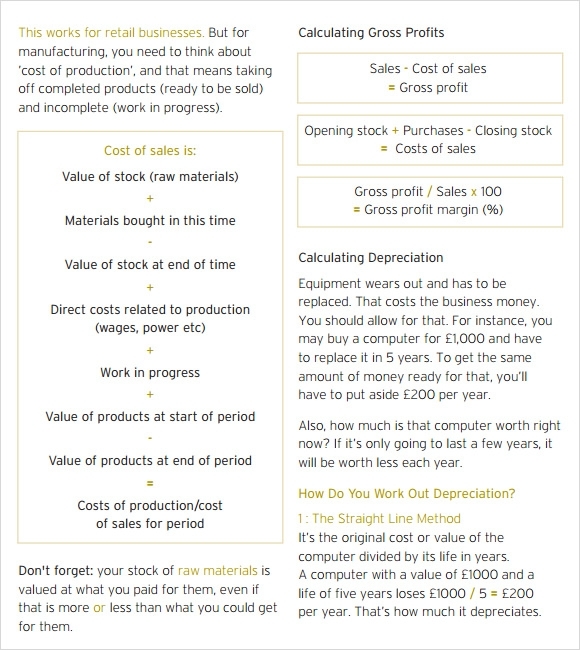 Well just download the Cash flow statement template for free. It shows the various changes in disbursements and receipts. For convenience these Sample Statements are readily available in numerous format. Now it is easier to showcase the locomotion of cash through different sample and example. Maintain and have document for future utilizing these templates. Keep the tensions at bay and just concentrate on expanding your business. This cash flow statement, prepared in excel shows the format of a cash flow statement. The various items that appear should appear in the statement and the order in which they must appear. 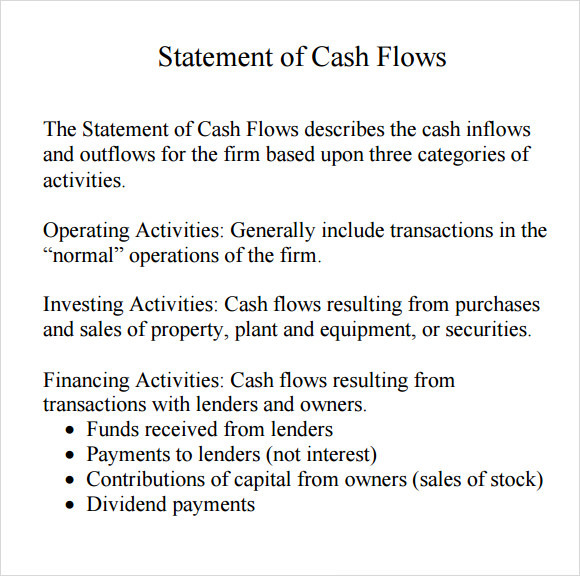 A cash flow statement generally has 3 sections, operating, investing and financing. 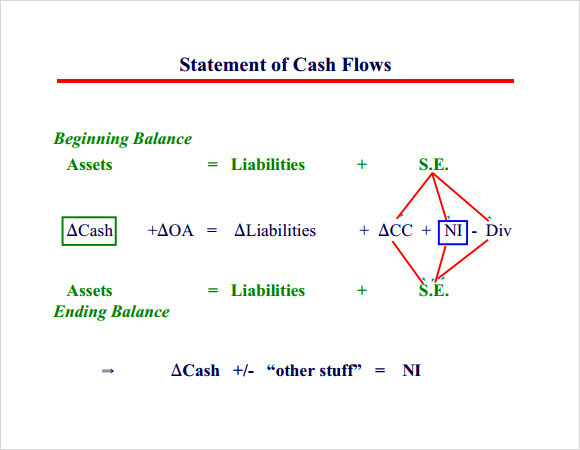 The net cash flows from all of these sections is then adjusted with the opening cash balance of the year to get the closing balance. 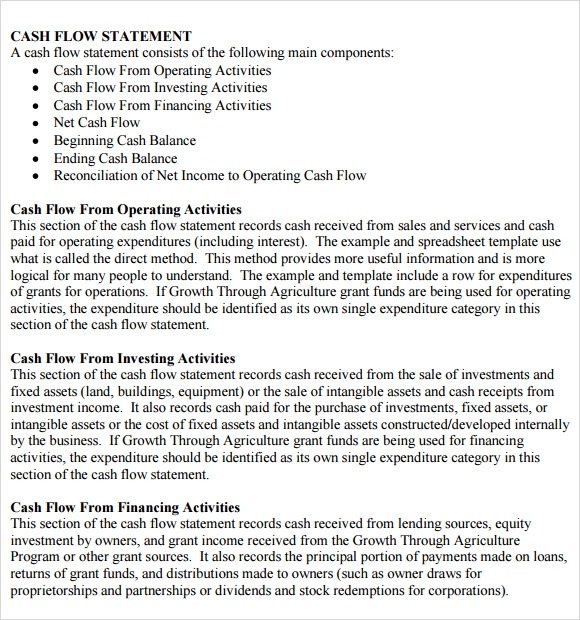 This cash flow statement template serves as an example to show the technicalities of the cash flow statement. It shows the various sources and application of cash with respect to assets and liabilities. Purchasing assets and paying off of liabilities leads to an outflow of fund or cash, whereas selling assets and acquiring liabilities leads to an inflow of fund or cash. 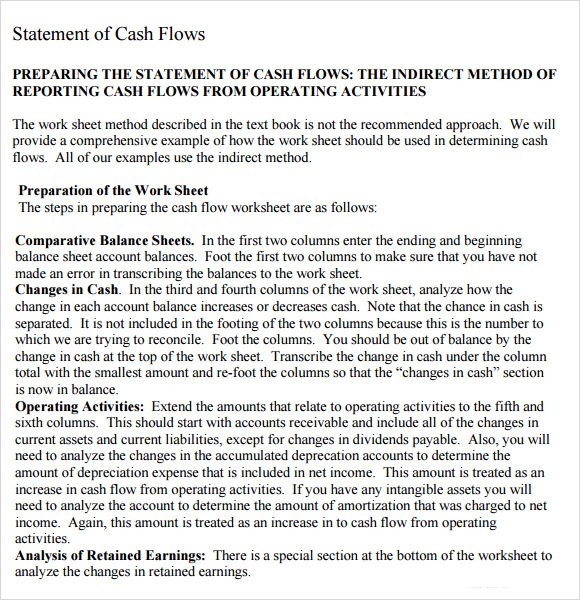 This cash flow statement template effectively explains the format of a cash flow statement. Cash flows statements are divided into 3 segments, cash from operating activities, cash from financing activities and cash from investing activities. Apart from that there is the opening and closing cash balance which needs to be adjusted with the above mentioned 3 segments. 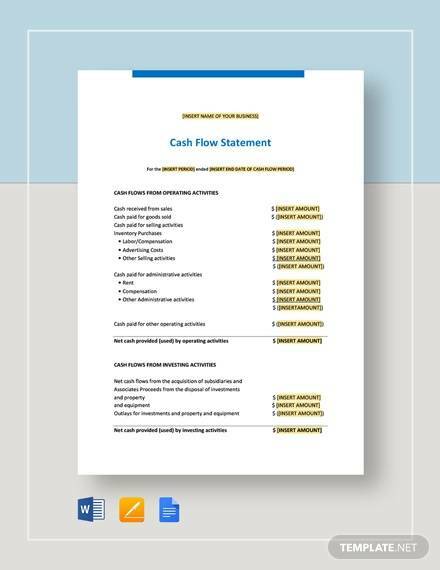 This personal cash flow statement template encourages and guides individuals in the preparation, building and presentation of their own financial plans. This personal cash flow statement has 2 major goals:- Determining how to increase the net cash flow in the near future and determining how to increase the net cash flow in the distant future. 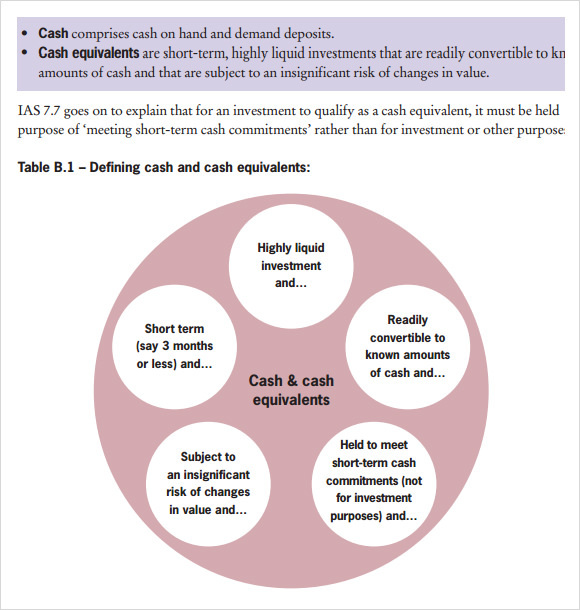 What Is A Cash Flow Statement Template? Due to the vastness of cash transactions in a business, all the transactions are grouped into 3 subheads, operating, investing and financing activities, which when added gives net cash flow for the accounting year. 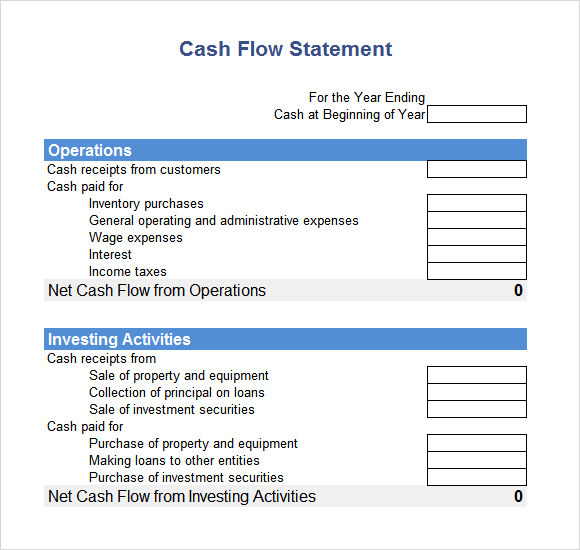 This is exactly what the cash flow statement template shows. The template shows the various inflows and outflows, groups them under the aforementioned heads, and then shows the net cash flow for the year. What Are The Benefits Of Cash Flow Statement Templates? Acts as a medium of checking whether the financial statements disclose the a true and fair view or not. 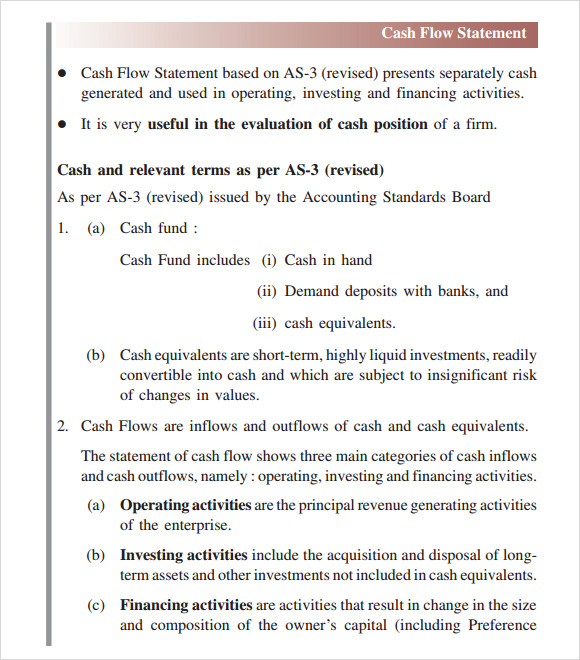 How To Prepare A Cash Flow Statement Template? Since cash flow statements can be a little too much to handle all b yourself, we bring you a set of cash flow statements designed to suit your needs.